The crow’s nest or basket swing as it is commonly named is becoming a popular swing seat choice for children’s swing sets and climbing frames with swings. 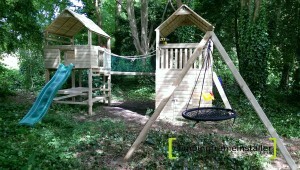 A crow’s nest swing has a round frame with a strong spider web like seat in the centre. The seat is strong but still soft for children to sit on and are generally large enough for more than one child to sit on at once. As crow’s nest swings are spacious enough for children to play on together, they are a great way to encourage kids to play together and this makes them even more fun for kids too, as they can play with siblings or friends on the swing. 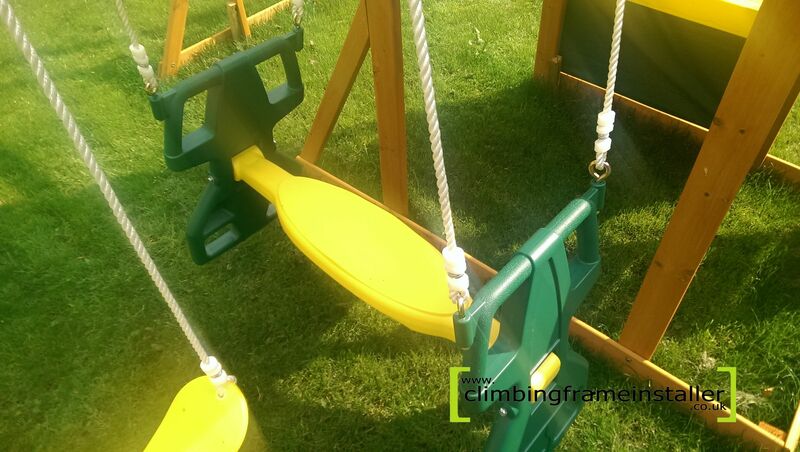 The crow’s nest swing seat is becoming a more popular choice for children’s swing sets and outdoor climbing frames as they are a brilliant alternative to the normal belt swing seat. 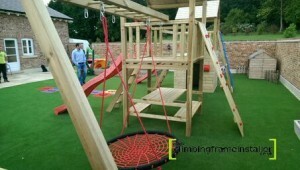 The crow’s nest caters for inclusive play so provides more fun. A crow’s nest or basket swing is a comfy alternative to the traditional rigid swing seat and therefore is a fantastic way to spice up your children’s climbing frame. Most crow’s nest swings have adjustable ropes and are easily attached to a main swing beam therefore you can mix and match swing seats when your children desire. There are many other types of swing seat available to choose for your outdo or swing set including belt swings, disc swings or monkey swings, trapeze bars, tyre swings and more. 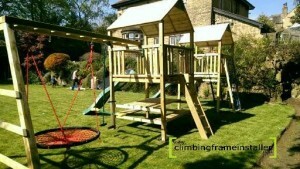 For help with installing your climbing frame or swing set contact the climbing frame installers now. 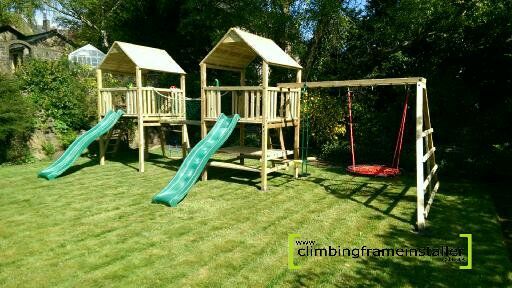 Our experienced climbing frame builders can ensure your play equipment is correctly and safely installed so you won’t have to worry about finding the time for a DIY play frame. 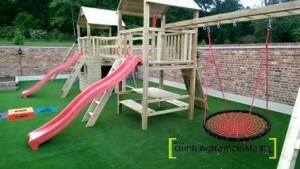 Our team of climbing frame installers provide a professional yet affordable installation service. Call us now for a quote on 07792309588 or email: [email protected]staller.co.uk.